Proudly flying the flag for Denmark’s electronic music, Kid Massive joined forces with Takahiro Yoshihira from Japan to bring their own unique production styles to the table for “Getting Started” featuring C Todd Nielsen‘ sought-after vocals. Released on Kid Massive’s imprint Get Down Recordings, this new installment will no doubt be a regular feature on every set in the months to come. With an embodiment of dark energy and aggressive kicks, ‘Getting Started’ is exhilarating from start to finish. Viralbpm sat down with Kid Massive, Takahiro Yoshihira and C Todd Nielsen to discuss about their remarkable collaboration and a little bit about themselves. V1 (B2B): Guys you’ve combined forces to produce Get Down Recordings’ latest installment, titled “Getting Started”. Tell us more about the track and the challenges you’ve faced completing the idea. Takahiro Yoshihira: I wanted to create a new sound and style so I used Techno and Electronica as my influence and worked on a melody that I thought would stand out. The result I think speaks for itself and when I passed it on to Kid Massive he loved it and began work on it at his studio in London. I am really excited with how it turned out. C Todd Nielsen: Unfortunately my socials are not what they should be. I just don’t spend enough time feeding that fire, and I should. That said I get almost 100% of my jobs from Facebook, Instagram, or Soundcloud so maybe I should get cracking! Hit me up. V2. Kid Massive you’re on a roll signing new music on your imprint Get Down Recordings, as “Geting Started” follows your previous collab with Mark Vox & Robbie Mirello, titled “Soleado”. How do you feel about these releases and what else should we expect from your label and you? 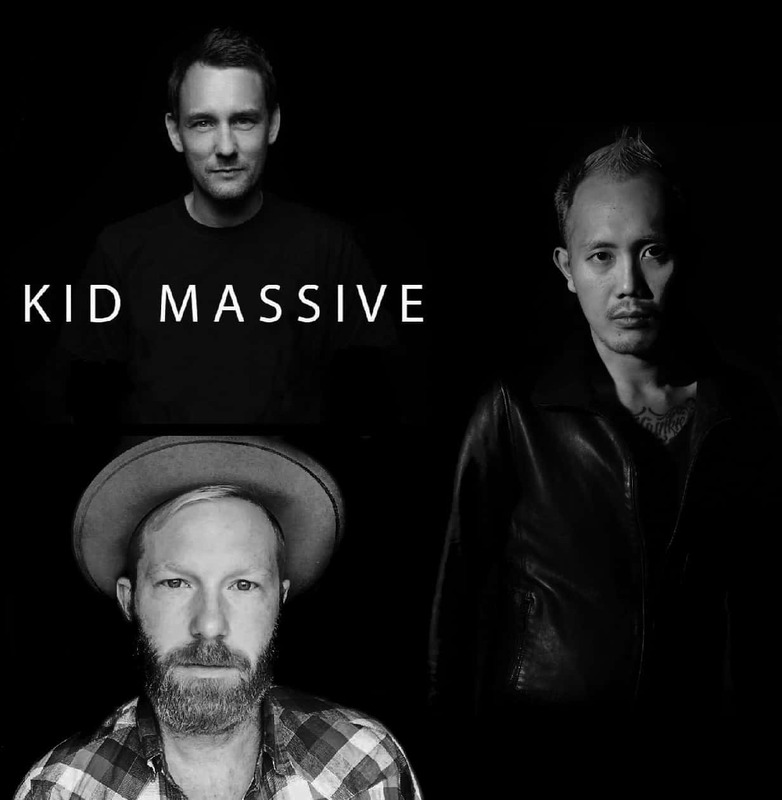 Kid Massive: I believe in helping support new and emerging talent. I believe it is essentially what the label is built on, as a foundation for new artists to learn and grow and working. Mark Vox, Robbie Mirello and Takahiro enable me to build awareness for them using the network I’ve built up over the last 15 years. I get sent a lot of amazing forward thinking demos. They really highlight the creativity of the next generation of producers! I’m learning a lot from aligning myself with them. As they say, you never to old to learn new things. The focus of Get Down is always on quality but within the Jackin, Tech, Tribal and Groove genres, they are what I personally represent as a producer and Dj and I need to be able to get behind and believe in everyone single one of my artists and their music. V3. Takahiro Yoshihiro how do you feel about your collab with Kid Massive, who’s one of the most important exports of Danish music industry, together with C Todd Nielsen, who’s also one of the most prolific vocalists worldwide? Takahiro Yoshihiro: I’ve wanted to collaborate with Kid Massive for a while. When he was on tour in Japan last year we met up in Tokyo at his show. At that time we talked about working together on a track. I had previously released 2 singles on his label already! So it felt like a natural fit to reach out to him. After about 12 months of going back and forth we finally had the demo finished. Then I reached out to C Todd Nielsen about being part of this release. I am a big fan of his work! His vocals are a perfect fit. They give the track such great energy! I’m really excited about this project and can’t wait for this to be released. V4. C Todd Nielsen you’re one of the most sought-after singers and your voice have helped too many producers make hits! Is there any particular criteria with which you choose the productions you’ll work on? Any dream-collab? C Todd Nielsen: Thank you so much for the compliment! I’m just doing my best to try and make it through this crazy world we call the music industry! In terms of choosing a track, for me it’s different every time. Sometimes it’s just the right chord progression that makes me hear a strong melody right away. Some other times it’s the feel of drop that sells it. However, it doesn’t matter what a track has to make me FEEL something. Additionally, I find it always helps when a track is in a good key for my voice specifically. I love a strong instrumental counter melody over the drop. As for dream collabs, there are many great DJ’s and producers out there I’d love to work with. For me Diplo is just a genius, that collab would be an honor.